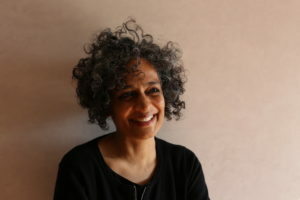 Roam Agency is the exclusive agent for Arundhati Roy in North America. For inquiries about any translation, audio, video, reprint, or other rights for Arundhati Roy, contact Roam Agency. For all other inquiries, contact David Godwin Associates. Photo Copyright: Mayank Austen Soofi.